As you plan your winter celebrations on campus and place your catering orders, please remember the Catered Cupboard when your event ends. 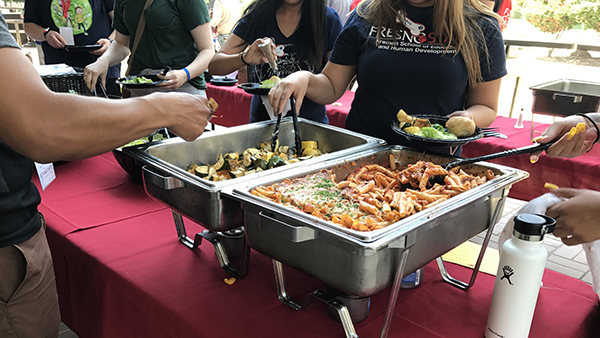 If you have food leftover at the conclusion of your catered event, you can share it with our students and invite them to be your after-event guest. Call 559.278.FOOD (3663) and let them know where your event is and what time food is available for students. Catered Cupboard is available for a total of 20 minutes at the conclusion of your event. 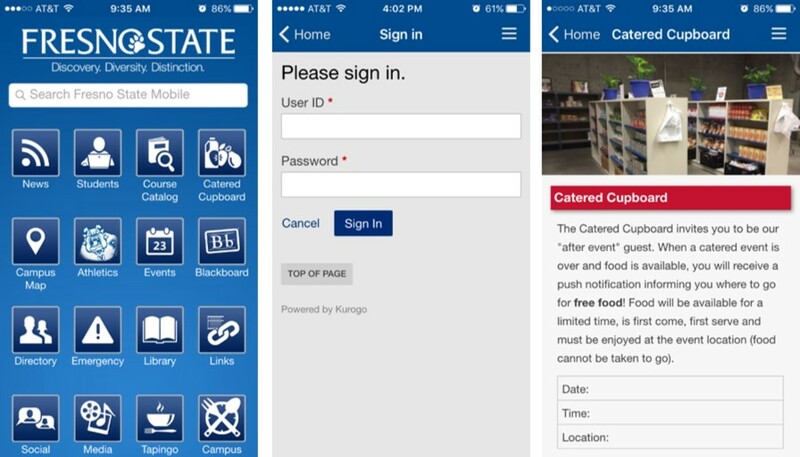 A push notification will be sent to students via the Mobile@FresnoState app letting them know when and where they can find your event. Stay at the location and welcome students into the room. For safety reasons, food must be enjoyed in the space in which it is being served. Take this opportunity to engage with students and make them feel comfortable in the space. If you have questions, please contact Jessica Medina at jemedina@csufresno.edu or 559.278.0866.